When the Cavs won the lottery in May, team owner Dan Gilbert and his son Nick claimed that it was the final year in a long time that the team would be present at the drawing. Ironically, they both made similar statements during the 2012 lottery which netted the team the 4th overall pick. The Cavs proceeded to win 24 games and put themselves in position to win the lottery for the second time in three years. In other words, it made complete sense to be skeptical of those statements. We've heard them before and saw the Cavs do practically nothing in free agency. This year was different. Chris Grant committed a combined $34 million for Jarrett Jack and Earl Clark. The thinking is that Jack can play both guard positions and be the first guard off the bench. With Earl Clark, the Cavs hope that he can play both forward positions. Jack averaged 12.9 points, 3.1 rebounds and 5.5 assists for the Golden State Warriors last season. More impressive is the fact that he averaged 17.2 points on 50.6% shooting in the playoffs for the Warriors. Clark averaged 7.3 and 5.5 rebounds for the Lakers. At 6'10". it makes more sense for him to play at the power forward position. Having said that, there is a lot of talk coming out of Independence about playing him getting minutes at small forward. After the Cavs signed Jarrett Jack and had a good draft that added Anthony Bennett, Sergey Karasev and Carrick Felix, it seemed somewhat inevitable that they would contend for a playoff spot. With so many teams hitting the reset button and planning on rebuilding through the draft (in an already weak eastern conference), it appears as if the stars were aligning perfectly for Cleveland to make a run for the playoffs. The Cavs would have had a fairly successful offseason had they stopped there. The potentially big news came on Wednesday night when it was announced that Andrew Bynum agreed to a 2 year and $24 million contract with Cleveland. This may seem like a lot of money to give a center with bad knees who hasn't played a single minute in the past season. On top of that, he has a history of making bad decisions off the court and can reportedly be a problem in the locker room. Despite all of these issues, this is a great thing for the Cavs and there are minimal risks involved. As far as finances go, the Bynum signing is a can't-miss. Either he plays well and earns his $12 million this season or he doesn't play much and misses out on his incentives. In the even that this happens, the Cavs will only be responsible for paying him $6 million. That may sound like a lot of money, but it is similar to what they paid Luke Walton in 2012-2013. The financial risks involved are quite minimal. There is a risk that they will miss out on a sweetheart trade where they can use cap space to absorb a contract because of the signing, but that doesn't appear to be likely. If Bynum plays well, it will be difficult to decide on whether or not to pick up his team option for the 2014-2015 season. Bynum is immensely talented, but it is always a risky proposition to commit big money to him due to his injury concerns. However, he will be playing for a contract this season and the upcoming season (if the Cavs decide to pick up his option). Motivation should not be a problem. 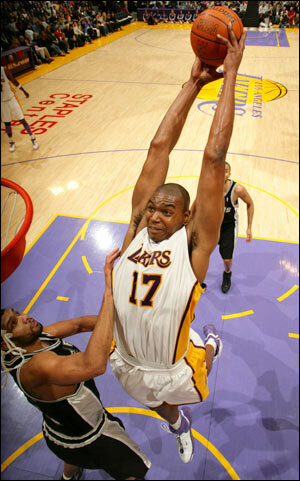 There are concerns about Bynum infecting the locker room. I suspect that this is not a major question for the team. Mike Brown coached Bynum in his lone all star season and should have signed off on the deal. In fact, Bynum's agent said that Mike Brown had a big role in the recruitment of his client and he even went as far as saying he "should go into motivational speaking." If Mike Brown had major concerns about losing his locker room because of the addition of the young center, he would not have gone above and beyond in the pursuit of Bynum. In addition, the presence of Jarrett Jack should help the locker room immensely. The Cavs are no longer a team without any veterans. The Andrew Bynum news is exciting because it further represents that the Cavs are done rebuilding. This has been a three year long process and it has been painful. We've watched Cleveland lose 26 games in a row. We've seen their young guys struggle and improve as they got a little more experience. We have witnessed the Cavs sitting on their hands as free agents signed deals elsewhere. The process has been arduous, but it should be paying off soon. There is a chance that Andrew Bynum doesn't meet his incentives and is a disappointment in Cleveland. That wouldn't make this the wrong move for the Cavs. For the first time in years (and for reasons that have very little do with LeBron James), the Cavs are the talk of national NBA media. Andrew Bynum will either perform well and earn his money or he won't get paid. This is the definition of "low risk/high reward" for the Cavaliers. Cleveland either signed an all star caliber center or took a one year risk with minimal financial implications. In addition, they have maintained their 2014 cap flexibility. Either way, the future is looking much more bright than it was a few months ago. There are assets, young and talented players, a superstar and veterans. 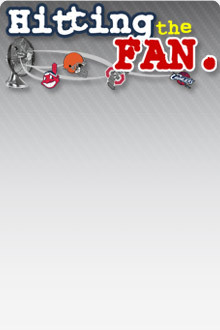 It looks like the rebuild is paying off and Cleveland fans should be thrilled.